Guan was awarded first place for the honor. For his efforts Guan received a $250 check to be used for his education. In addition, the essay will be sent to the district level to be judged along with winners from other Optimist Clubs in the district. That winner receives a college scholarship for $2,500. The second place winner, eighth grader Emily O’Connor, 13, also from Manalapan, was also awarded $250 for her performance. “Guan did a wonderful job of articulating this year’s theme. He expressed himself well throughout the essay and deserved the honor of first place,” Club President Maureen Fasano said. Event organizer Daniel Dunn stated “With nine entries this year the judges found it extremely difficult to select winners because they were ALL good.” The last time the Sunrise Optimist Club of Freehold participated in the Optimist Essay Contest was many years ago and the club was determined to revive it. The Sunrise Optimist Club meets for breakfast every Friday morning at 7 a.m. at Perkins Restaurant on the northbound side of Route 9 in Freehold. They also have an evening meeting once a month at Cuzzin’s Pizzeria, 40 Thoreau Dr, Freehold at 6 p.m. Meetings are listed on the Sunrise Optimist Club website and Facebook page (https://www.facebook.com/Sunrise-Optimist-Club-of-Freehold-181582898550035/?ref=settings). Optimist International is one of the world’s largest service club organizations with 80,000 adult and youth members in 2,500 clubs in the United States, Canada, the Caribbean, Mexico, and throughout the world. 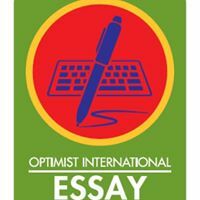 Carrying the Mission Statement “By providing hope and positive vision, Optimists bring out the best in youth, our communities, and ourselves.” Optimists conduct positive service projects that reach more than six million young people each year. To learn more about Optimist International, please call (314) 371-6000 or visit the organization’s website at www.optimist.org.